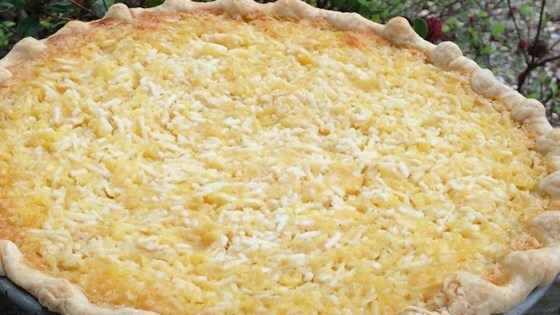 "A delicious chess pie with the tropical flavors of pineapple and coconut." I made the recipe with two changes. Only one tbsp of flour and then added one box of cook and serve vanilla pudding. This thickened the pie a little more! AWESOME! I made as directed , and was good. It seamed it needed a little more moister , it was a little dry.over all, the pie was very good. Yummy! The hit of the office potluck! This pie is fantastic. I cooked it for my mother she loved it.